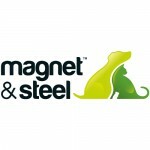 Magnet & Steel supply globally with their calendars, books, greetings cards, signage and our unique pet friendly air fresheners. All products are innovative and are produced to the highest quality using the very best materials and the latest production techniques. Zip code 34241 – 3129 Nahda Dist.